Product prices and availability are accurate as of 2019-04-19 19:15:52 EDT and are subject to change. Any price and availability information displayed on http://www.amazon.com/ at the time of purchase will apply to the purchase of this product. Get Rid of your Dog's Fleas and Ticks Once and For All See How Easily You Can Improve Your & Your Dog's Life Are you tired of fighting with your dog's fleas and ticks? Are you tired of keeping your dog from walking outside or just from playing with your kids? Are you tired of the everyday careful examination of your four-legged friend? Are you tired of buying flea collars for dogs that cost a fortune, but they don't bring the expected results? Stop! We have something better, more long-lasting, more reliable, and affordable! This is a cool flea tick repellent that satisfies the needs of your pet. The Secret Of the New Formula Germany A new formula of substances is hidden in our flea tick prevention for dogs. Its influence on insects spreads all over the body, totally killing not only the adult fleas, but also their eggs. Our product can be used not only as a FLEA but also a TICK treatment collar for dogs. It repels ticks. It also provides you with a long-lasting dog flea control. 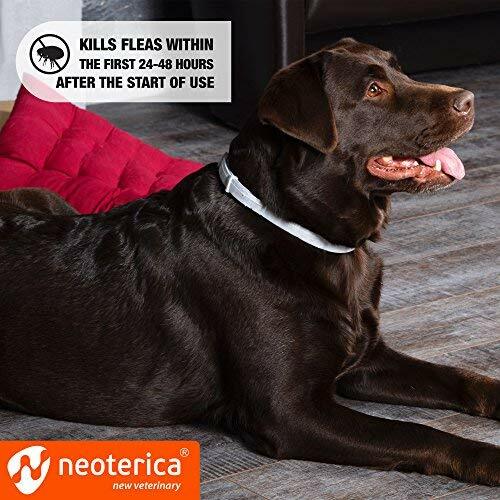 The following features differentiate it from the other flea collars: 1) waterproof; 2) non-toxic; 3) long-lasting (it guarantees dogs flea & tick control up to 6 months); 4) odorless; 5) flexible; 6) more effective natural flea treatment. 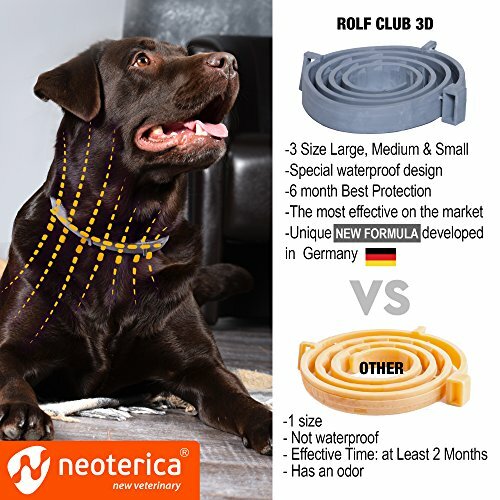 How to Use It Properly to Get the Best Perfomance We provide 3 sizes of the flea collar: for small dogs (the weight of 0-22 lb) , medium dogs (22-65 lb), or big dogs (over 65 lb). But when putting this flea collar on your pet, you shouldn't make him feel trapped; leave a little bit of free space. Don't worry if your dog makes this collar dirty or wet. The flea collar is waterproof, so the flea treatment won't stop. It won't even lessen its influence on fleas and ticks. BUT for the best and durable flea tick control, it's better to take it off while bathing your pet! 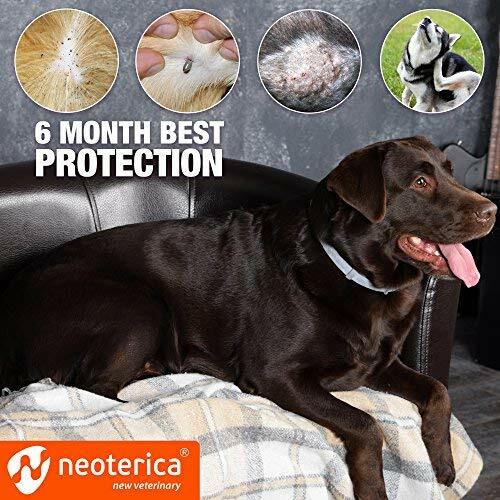 ✅NEW GERMAN FORMULA: MORE THAN 6 MONTH OF BEST PROTECTION-New German Technology gives you effective flea and tick prevention for dogs for 6 month! 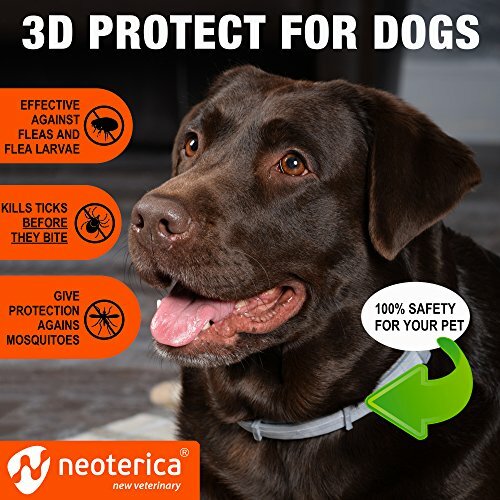 ✅3D PROTECTION FOR YOUR PET - effective against Fleas - larvae - Ticks and Mosquitoes. This flea collar for dogs was designed to be HELPFUL either for small medium size or large pets. 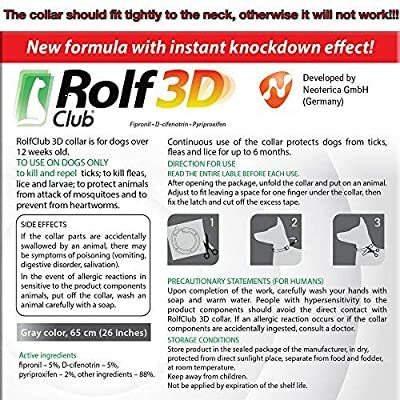 ✅QUICK EFFECT - Rolf 3D Dog flea collar kills fleas within the first 24-48 hours after the start of use. Its main aim is to provide your pet with proper flea tick treatment & this flea tick collar does it well. ✅KNOCK DOWN EFFECT - TESTED BY THE BEST VETERINARIANS: new German formula was specially used in the best flea collar and helps to achieve the best results. ✅100% SAFE FOR YOUR DOG/CAT - non-toxic tick repellent that treats with care. Our dog flea medicine kills and repels fleas and ticks quickly and leaves them no chance to survive! No harm for dogs! No strange smell!